We have do not have any Kittens or Retiree. As of October 1, 2013, I will no longer take deposit/s or payment/s on any cats or kittens sight unseen. Either the cattery and/or the kittens must be viewed by the buyer or an authorized representative for the buyer before a payment will be accepted. This is due to the revised USDA-APHIS regulation/s that will go in effect November 18, 2013. I apologize for the inconvience that it may cause potential owners. CH - Champion - Certified by 6 Judges that the cat meets the CFA Standards for the Breed. GC - Grand Champion - Place over 200 Whole Opens and/or Champions for this title. GP - Grand Premier - Place over 75 Altered Opens and/or Premiers for this title. RW - Regional Winner - Top 25 Kittens or Champions or Premiers in a Region. 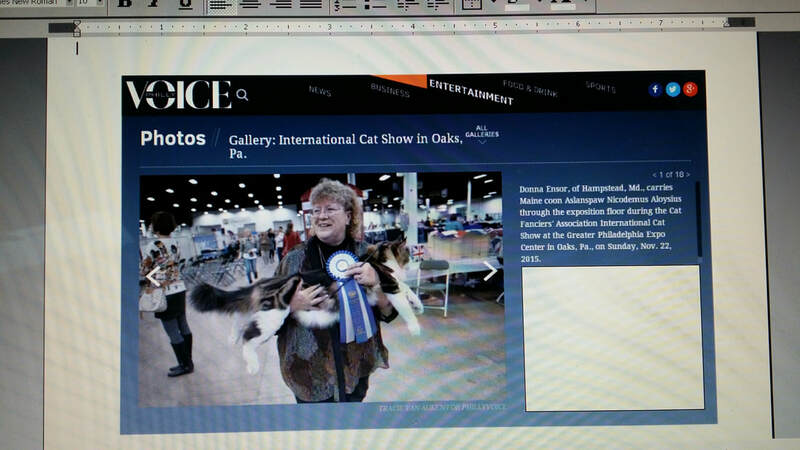 NW - National Winner (Int'l Winner) - Top 25 Kittens or Champions or Premiers in the World.